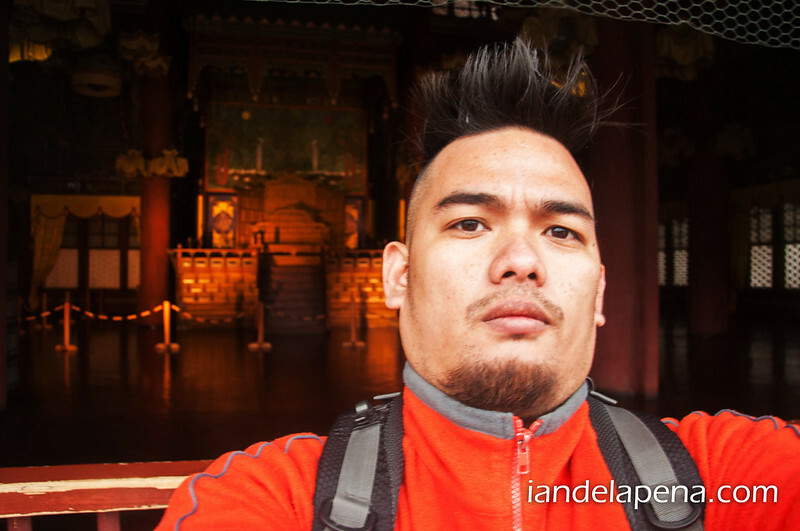 The Changdeokgung or Changdeok Palace was the second palace that I visited. 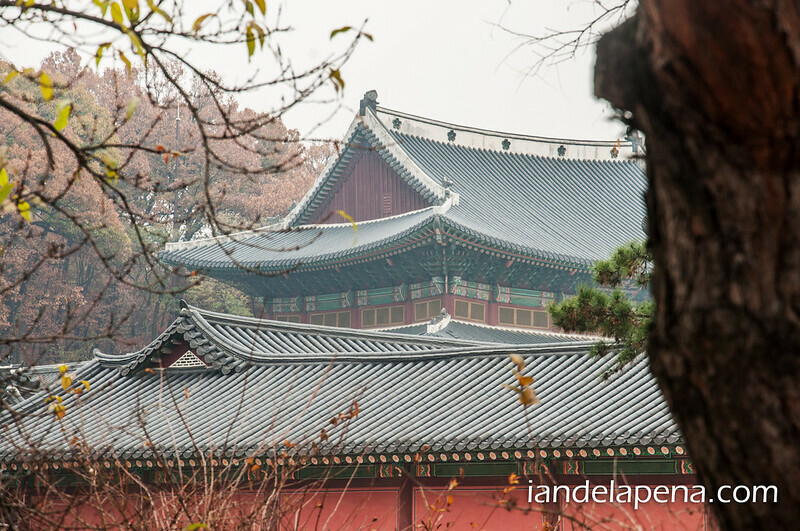 The palace complex is within the same area and is separated from the Changgyeonggung by just a wall, you can even get into the Changdekgung from the first palace. 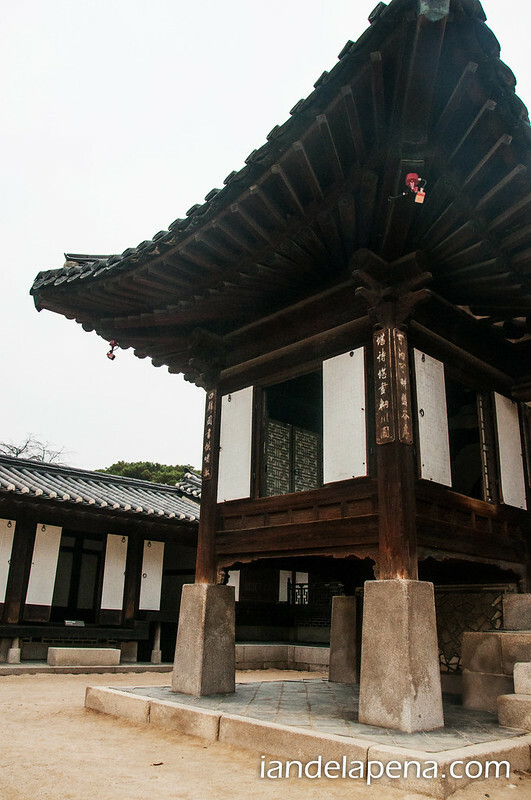 The Changdeokgung is a bigger and grander palace compared to the one first one that I’ve been to not only in size but also in the importance. On this palace we learned about how the king assembles his court in front of the throne room, but lets not jump places here lets start from the beginning shall we? From the Changgyeonggung I bought a ticket from the back entrance of the the Changdeokgung which is inside the first palace. The ticket costs KW 3,000 for adults with discounts for students and seniors. Honestly I had to think about it twice because it cost more compared to the first one where I paid KW 1,000. Good thing that I came to my senses that 3 thousand won was just around Php 130 pesos and I thought that it is worth the paying for. I learned at the tour of the palace was to start much later so I hang out at the coffee shop and enjoyed the scenery, but I tell you don’t expect too much about the coffee at the cafe. The tour started and yep I was first in line, well actually there wasn’t any line at all. People from all over the area were summoned by our tour guide’s really sweet voice announcing that the English tour is about to start. Just like the first tour on the other palace, the tour took us around the palace grounds showing us important buildings such as the library, the physician’s office and the king’s office. Well it was all well and good I just hoped that they included bits of Korea’s history like sighting an important event in the kingdom life. I’m going to be honest, it was like hearing the same story that I’ve heard from the previous tour group that was with at the first palace that I’ve visited so like I said before just take the tour at the grand palace. 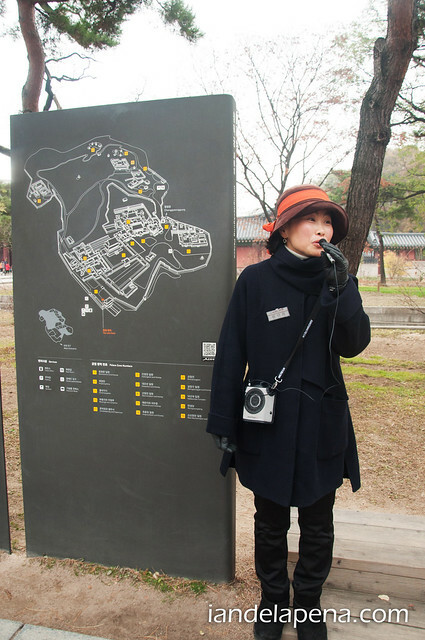 We started at the main entrance of the complex where the map and a brief history of the palace can be found. Our guide, Grace, actually has a much better command of English than our guide in the first palace. She also tries connect a lot more with her her audience even if it means giving out corny jokes hahahaha…. well we all laughed at them anyway… hahahaha…. Grace then took us to the centuries old bridge where the Kings and Queens of soul used to cross as there’s a small stream that runs across the palace’s entrance. I must say that the people and government of Hanyan (the old name of Seoul) should really be commended as the engineering and the planning really thought ahead of their time, imagine the stream that was actually redirected and the bed was laid down with granite so water will easily just flow through! The first part of the tour was the government offices Grace took us to each and every building while she gives a short narrative of the importance of the building to the dynasty, this includes the library the king and queens quarters and the royal kitchen among others. We entered and exited through the small doors leading to another part of the palace, I felt like going through a maze that I could just get lost in. 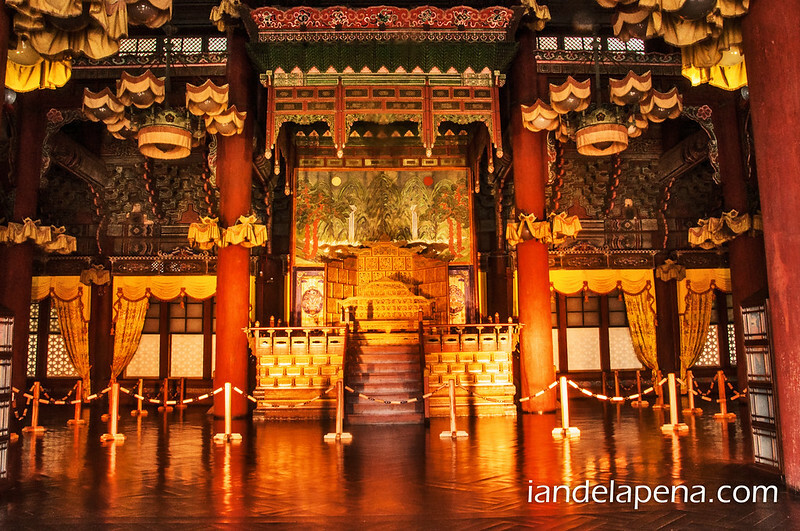 Grace told us that it is possible that the reason why they made doors that small that you’d have to bow down to enter is to remind government officials to always be humble…… hmmm… I think we should make doors smaller here in our country… don’t we? After touring the the government and official’s offices Grace then lead us to the main assembly ground where the throne room is found. I really don’t remember what hall is this for so if you can read Chinese leave a comment below on what is this for…. oh yeah see that man yawning there? I waited for him to leave that spot but he didn’t I went back here after the tour and he was still there!!! ugh! This is the blue office or building or something to that effect which served as the office of the king. This here maybe the most remarkable of them all. This is this the house that was built for the king’s most beloved concubine it was so special that they made it real big. The building is unfinished hence the the uncolored walls. I went back to the much more recent wing of the complex that was actually used by the last king and this is where they received guests like diplomats and royalties. 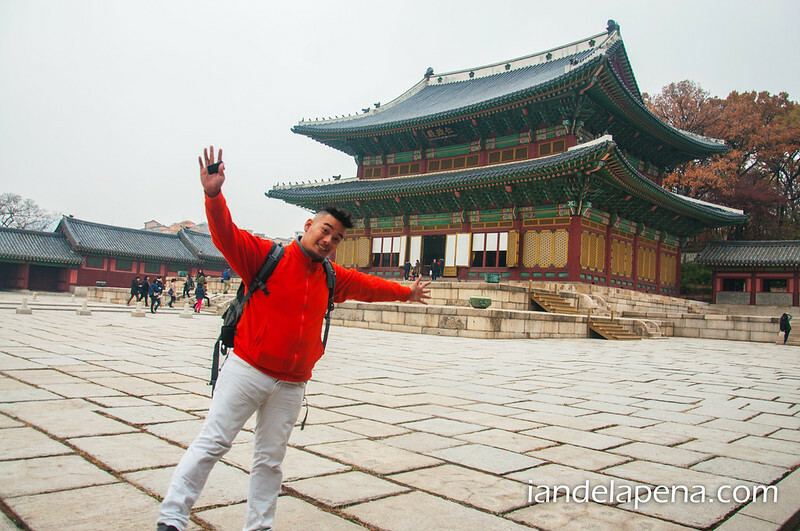 The tour was nice because of the tour guide and yeah it could be a lot of fun to visit these palaces if you are a fan of Korean dramas or if you are with friends, but if you are like me who really does enjoy just being alone and quite this would be a good one for you as well.